Ada pertanyaan untuk Germaroze Inn? Ketika mengunjungi Cebu, Anda akan merasa layaknya di rumah ketika berada di Germaroze Inn yang menawarkan akomodasi berkualitas dengan layanan luar biasa. Hanya 129.1 km dari sini, properti bintang 2 ini dapat secara mudah dicapai dari bandara. Karena lokasinya yang strategis, properti ini memiliki akses mudah ke destinasi yang wajib dikunjungi di kota ini. Germaroze Inn menawarkan pelayanan sempurna dan segala fasilitas penting untuk memanjakan para wisatawan. Untuk kenyamanan para tamu, properti ini menawarkan layanan kamar 24 jam, WiFi gratis di semua kamar, resepsionis 24 jam, penyimpanan barang, Wi-fi di tempat umum. Semua kamar memiliki sejumlah kenyamanan seperti televisi layar datar, handuk, ruang penyimpanan pakaian, pendeteksi asap, akses internet - WiFi untuk menyenangkan semua tamu. Bagi Anda yang menyukai aktivitas kebugaran atau hanya ingin bersantai setelah beraktivitas sepanjang hari, Anda akan dihibur dengan fasilitas rekreasi kelas atas seperti kolam renang luar ruangan, kolam renang anak, taman. Dengan lokasi dan fasilitas idealnya, Germaroze Inn dapat memenuhi berbagai macam hal. Old family mansion converted to tourist rooms with several modern rooms added to seaside and overlooking water. On highway so great location for backpackers using buses - only few parking spaces if driving own car. Good location for getting to Whale Shark viewing in early am. and a local waterfall for a short hike. A family feel with plenty of warm-fussy messages on walls and old family pictures showing interesting history. Sachas's Resort Oslob ajoins next door and belongs to owner's sister and has similar old style house rooms plus new additions to front. Both have pools to cool off and beach for swimming when tides in. Local restaurants 5 min away by tricycle - couple of nice ones developing but good meals home also. No fridges in rooms but common kitchen area for a coffee any time and get your wine/ beer from common refrigerator. A most pleasant time made better by great staff. Second time visit for us taking our Australian visitors who were impressed with relaxed hospitality. Beachwise, you can’t expect a better location: the hotel is just by the seaside and the wave sound will accompany your sleep. If we talk about Oslob’s... downtown, well it’s a 15-minute walk... So what? Let’s not complain, we are on holiday after all, aren’t we? And if you don’t feel like walking, you can always rent a tricycle: you won't have to wait to long as it’s an endless stream of tricycles passing by the hotel entrance. Breakfast is rather basic. 20 mins far from Whale shark watching point by tricycle. They only serve omelet for breakfast. Didnt see any grocery shops nearby, luckily we had brough some snacks from Cebu for breakfast. Our room is literally built on the sea. The swimming pool and the arbor looked so relaxing. We wish we had more time spending there. I love this place so much! The staff were very approachable and kind. We enjoyed staying here. They have unlimited coffee and free drinking water (mineral water). Perfect location (near in public market, restaurants, 10-15 mins away from tumalog falls and whaleshark/sumilon briefing area). Majestic view of the beach in their rooftop/terrace. The place is very clean and well maintained. 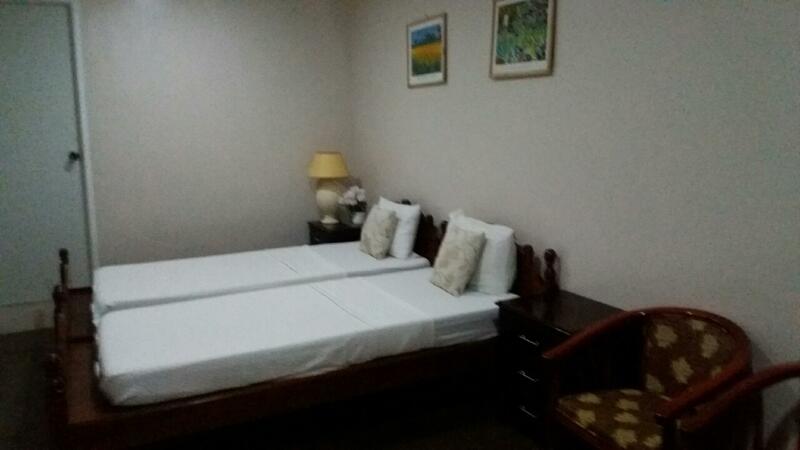 The room is spacious, enough for 5pax. The pool is clean. The area is so peaceful. They let us in earlier than the check in time and they even arranged our tumalog and sumilon tour. Thank you very much for the wonderful experience. Stayed 2 nights and enjoyed the swimming pool and the cheap beer. We ate in the village which is about a 15minute walk away. They helped organize boat to Bohol island and the whale sharks snorkeling trip. Clean, modern, with a pool (which they wanted to repair, so be sure it will work when you come). We took a tricicle from the hotel with a guide for 300 ph to watch whale sharks. I recommend to be with a driver/guide who is very helpful there in all that crowds. TV, wifi, AC are good. Free tea, coffee, small restaurant in the hotel. The sea is right in front of the hotel so you can swim. The road of buses to/from Cebu-Bato is at the hotel door, so you can take the bus right there (as well as the bus to the sharks, but it will be much easier with a tricicle driver from hotel). No shops nearby, so buy everything you need in advance. Place is very relaxing, We got the superior room, spacious with the lovely view of the ocean. Near the tourist spots like Cuartel Ruins, Whaleshark watching and Sumilon Island. The magnificent Tumalog falls is also within the area. I would definitely stay here again. Food is good too. I just hope their staff can smile more, they are not just that welcoming. We stayed in Oslob for 2 nights mainly to go and see the whale sharks. 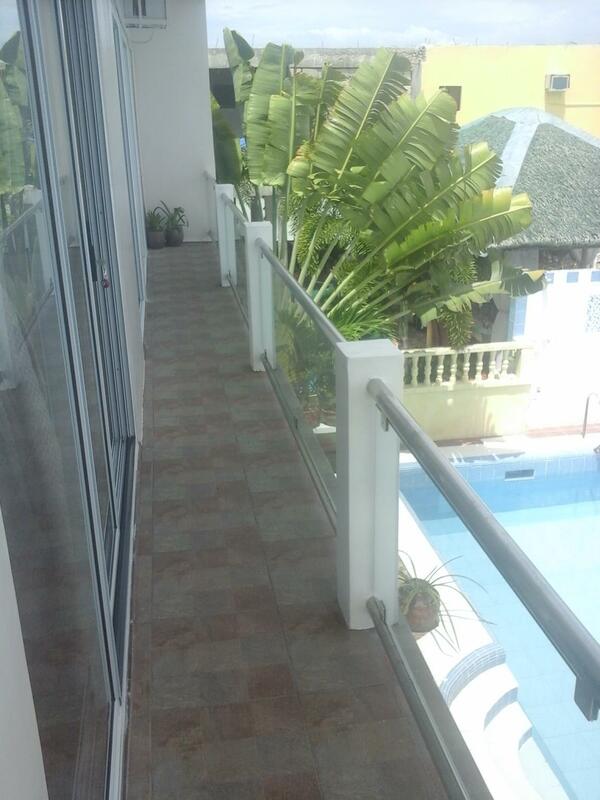 The hotel itself is really clean, pool is great to chill out by and they have stairs that go into the sea. Which isn't exactly swimmable but nice to have a paddle. The rooms were spacious and had great wifi. The only problem we would say is the staff are in no rush to serve you. The food is good, cheap and basic but one night we sat for nearly an hour before we had to ask someone to come and take a food order from us. They weren't rude, just not fussed on doing too much for you. 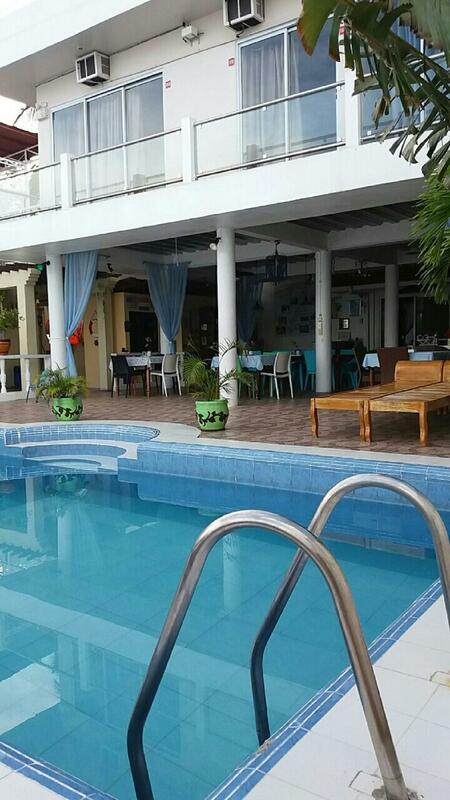 I'd stay again though for the location 20 mins from whalesharks and the pool was great. This has been my favourite place to stay in our travels of asia so far! Amazing grand house converted to hotel. We stayed in one of the super modern rooms with a view out on to the sea, unbelieveable sunrises. Also stayed in a room at the back of hotel which was older but still very fresh and nice. They have a sun terrace, the pool is clean and nice. Sun loungers, also access down steps to the sea which is knee deep for along way out to a floatint platform. The food menu is simple food but amazingly done we loved the fish and chips. Staff were beyond brilliant. Cheap food and drinks too. 7/11 walking distance. Whale sharks 15 mins away hotel will arrange transfer if req. Wish we could stay longer! The pool needs repair/attention. Sharp tiled edges around the steps on the side of the pool can possibly cause an accident. Room and bed was clean. 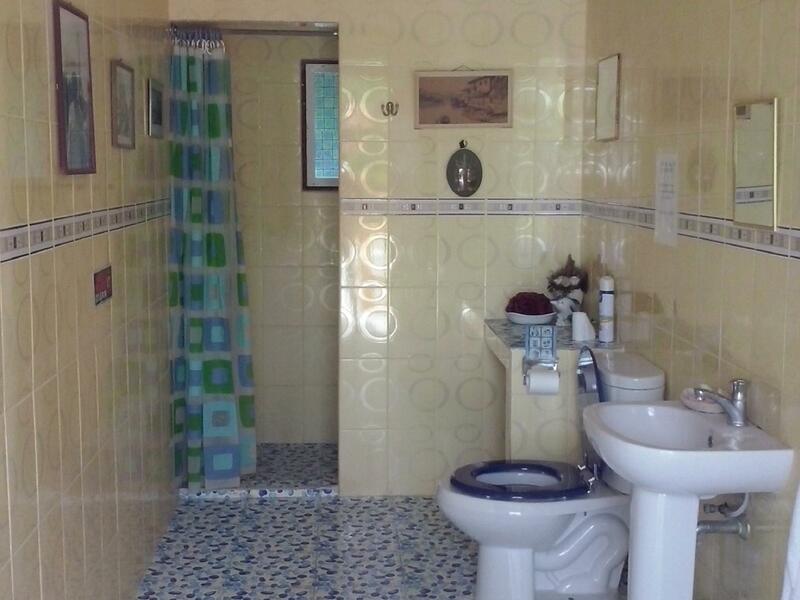 Bathroom as well. 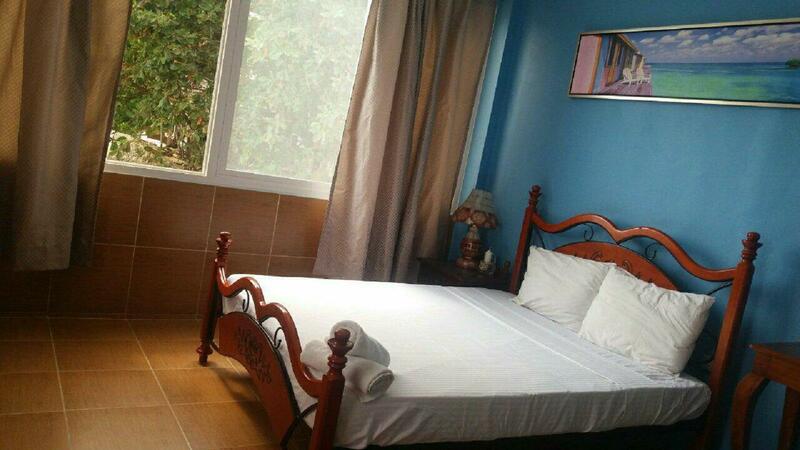 The whole place well maintained and just 5mins walk to the main markets for food & groceries and 10-15mins away from the whale watching location. Great location, great staff, great everything! We've been staying in different hotel/resorts before Germoroze. Surprisingly, Germaroze has the best bed, internet and air-con compared to the rest of stops we stayed in Cebu. Even though the location is about 10mins ride to Whalesharks Watching but the good facilities they provide make it totally worth it. 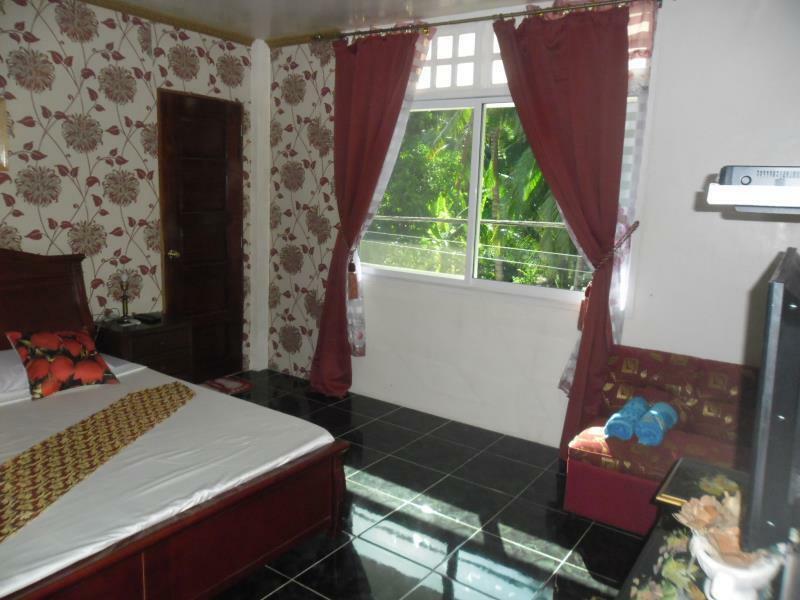 Guest house is clean, quiet, with helpful and friendly staff. The only downside for me is the restroom which is separate from room (outside) which is a bit inconvenient for me but overall i would recommend this guest house. Really value for money! 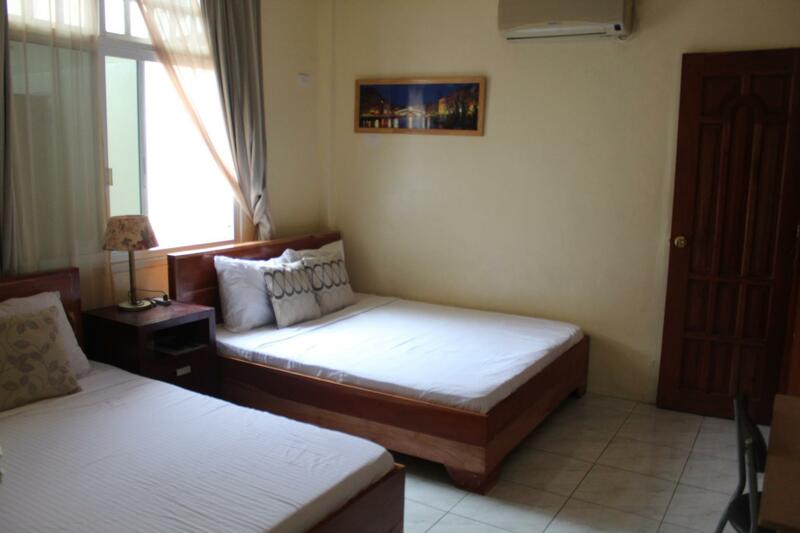 The income and rooms are very clean,but u need room at backside,frontside you can t slerp.your window 2m from the road and there is a lot of traffic DAY AND NIGHT,minibuses,big buses,trucks terrible!! !swimmingpool small but clean,no beach,stones.don t eat next door 200p for plain rice and piece of chicken.take trike 8 peso to the little center.they offer transport to whale shark place 300 pes a person VERY overpriced.take trike 100 peso for 2 person. Gemaroze is a few minutes drive going to the Whale shark excursion. A few minutes going to the town proper. They're place is homey, cute pool. Don't expect to walk on sand on this place. Beach is so so. Food is okay. Money wise, definitely a place to book. We had a problem with our booking and the host talked rudely about us with the other staff using another dialect thinking we don’t understand what she’s saying cos we’re from Manila. The place is good but the host was so rude! The staff was very nice. They made our stay easy by scheduling scooters and tricycle rides exactly when we needed them. There are remarkable views of sea and great seats to just spend an evening in and there's free water in the main living area for filling water bottles. AC is strong, beds are good and all in all, I'd highly recommend! Staff are accommodating and very warm. If we will return to Oslob, we'll definitely book this place again. Spectacular sunshine and sunset view from the room. Very clean, nice staff and convenient location as near the public market.